She's pretty much as in demand as an entertainer can get. Cardi B has been building her career momentum for years but in this last year especially she's become a bonafide household name. She's also just become a mother, and now she's had to make a hard decision that so many mamas can relate to. On Thursday she announced she won't be going on tour with Bruno Mars as planned. It's just too soon. "I thought that after giving birth to my daughter that 6 weeks would be enough time for me to recover physically and mentally, I also thought that I would be able to bring her with me on tour, but I think I underestimated this whole mommy thing," she wrote in a statement posted to Instagram. "Not only am I just not ready physically, I'm not ready to leave my baby behind since the doctors explained it's not healthy for her to be on the road. I hope you guys understand that this decision has been the hardest to make but I have to do what's best for myself and my baby." While some fans will no doubt be disappointed by the news, many mothers will relate to the reasons Cardi made this difficult—and brave—choice. Cardi is hardly the first mother to feel torn over the decision to go back to work when her child is still so young, and she's also not the first to underestimate the ways in which parenthood will change day to day life. "You think all these things that you have no idea about (no one does, until you actually go through it!) and you sort of just imagine your baby fitting nicely into your life," explains Motherly's Stories Editor, Colleen Temple. "Then, you realize you have to figure out your life around them now." A baby doesn't just come into your word, they kind of become your world in ways you can't even comprehend until it happens. As Cardi said in her statement, she's got to do what's best for her and Kulture now. Born on July 10, Baby Kulture is just over two weeks old now, and by the time the 24k Magic tour starts in the fall, she'll only be a month old. Any mother who has left her one-month-old to return to work understands how gut-wrenching that can be, and Cardi's decision to put her career on hold for her baby's sake highlights the fact that so many women can't decide to postpone going back to work. 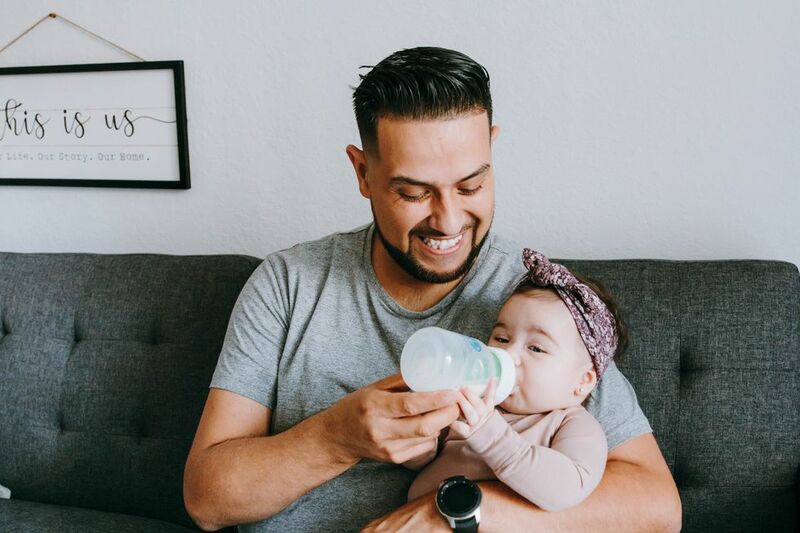 According to the Bureau of Labor Statistics, only about 14% of civilian workers in America have access to paid family leave. So what are mothers to do? 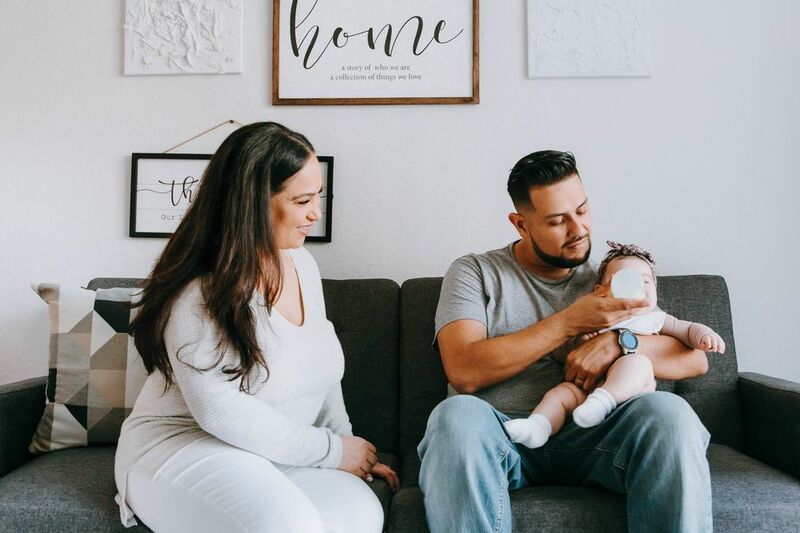 Well, 1 in 4 new moms in the U.S. are back at work just two weeks after having a baby, according to researchers who analyzed Department of Labor data. Two weeks. That's how old baby Kulture is right now, and by telling the world that it is too soon for her to leave Kulture, Cardi is telling America that two weeks is too soon for any mother to be heading back to work. Birth is an incredible thing, but postpartum mamas need time to recover and babies need their mothers. At two weeks out from birth, new mothers are still healing and are still very sleep deprived. 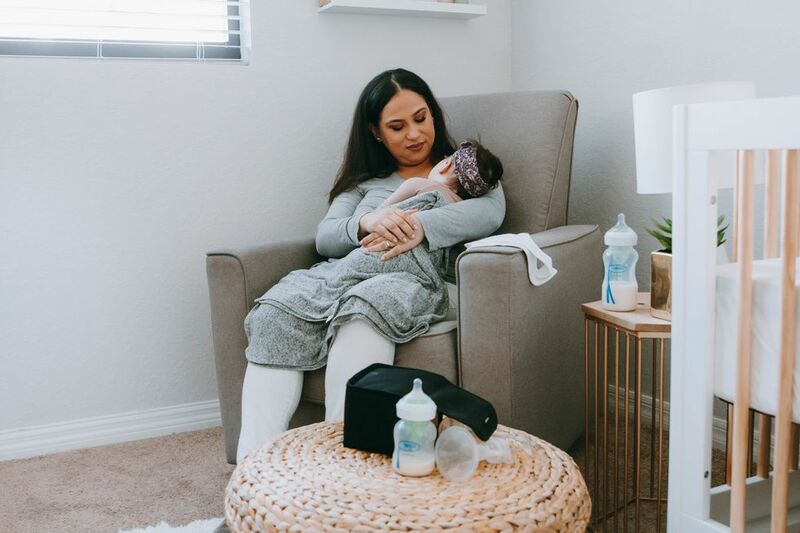 Add trying to pump to working, commuting and caring for a baby, and it's no wonder that research indicates going back work is a huge factor in many mother's decision to quit breastfeeding. With the world's eyes on her, Cardi B said "no" to doing what society makes so many women do, but she's already got some support. Bruno Mars issued a statement not long after Cardi B's, letting fans (and Cardi) know that he gets it, and that while Cardi won't be on the tour physically, her presence will still be felt. Two weeks ago Cardi B had a baby. Now, she's choosing to press pause on the career she's been building for so long because that's what's best for her baby. She's giving up money and career advancement, and reminding all of us of what other mothers must sacrifice when they can't make that choice.